Give your face a relaxation as you sleep, by using this Green Tea Sleeping Pack! This is one of the.. Description: A sleeping pack that provides moisture and hydration to the face while you sleep. 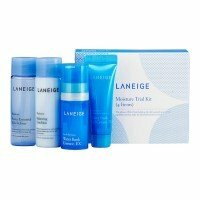 C..
FREE GIFT - Laneige Moisture Trial Kit X 2 - Orders $100+ Description: These Korean beauty..